Saturday is a special day! 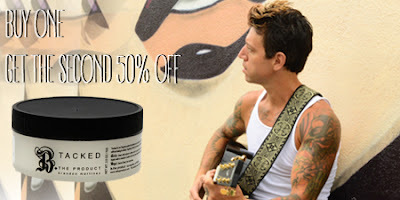 Get our very popular, medium hold hair paste for 50% off when you purchase one at full price. The Tacked smells great, feels great and is Organic. We know you like to stock up on your favorite stuff. Here's your chance to get more!